This is a slim volume (205 pages) for lovers of Chekhov who neither want nor need any in-depth analysis of the stories (which is not to say we get no analysis, just that it's measured and doesn't overwhelm the reader). 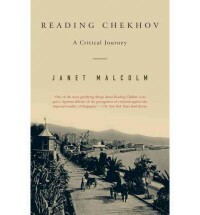 This is Janet Malcolm's extended essay on why Chekhov is such a brilliant writer and why we should read him - often. What I particularly like about Malcolm is that she manages to articulate why I like the man so much. Yet, having written that previous sentence just now I still can't paraphrase that articulation in a satisfying way that doesn't sound too simplistic or trite - you'll just have to read the book. What I can say is that Chekhov manages to pack more complexity and depth in five pages than many authors struggle to do in 300 or more. It's a shame that tuberculosis took him in 1904 (though how he would have fared under the coming Soviet regime is problematic). Maybe he was "lucky." Malcolm ties the book together with a minimalist travelogue recounting her adventures in Russia as she visited Chekhovian sites (his houses, museums, etc.) but the interest, for me, rests in her insights into Chekhov and his work, which are interesting and sometimes provocative. For example, she notes that there's a great deal of religious symbolism in Chekhov's stories (gardens and "miraculous" transformations, among others), though the author always claimed to be a nonbeliever. If you're not yet a fan (shame on you :-), Malcolm's clear exposition and enthusiasm for her subject may just convert you. What I "hated" about the book is that Malcolm graphically illustrated just how much Chekhov I have still to read - of the near 20 stories she mentions in the course of the book, I was familiar with fewer than five! 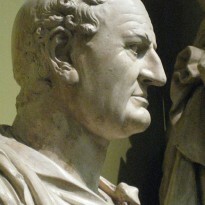 A gross insufficiency I plan to correct as soon as possible, I assure you.